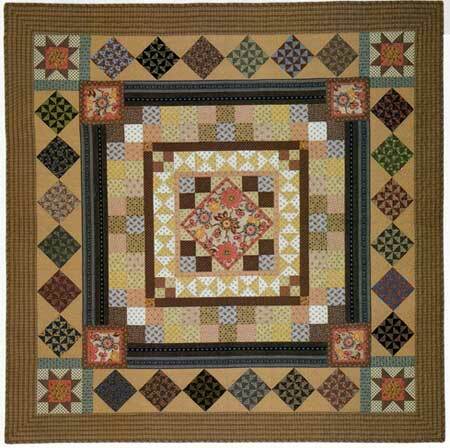 This quilt is a Welsh Medallion style quilt. 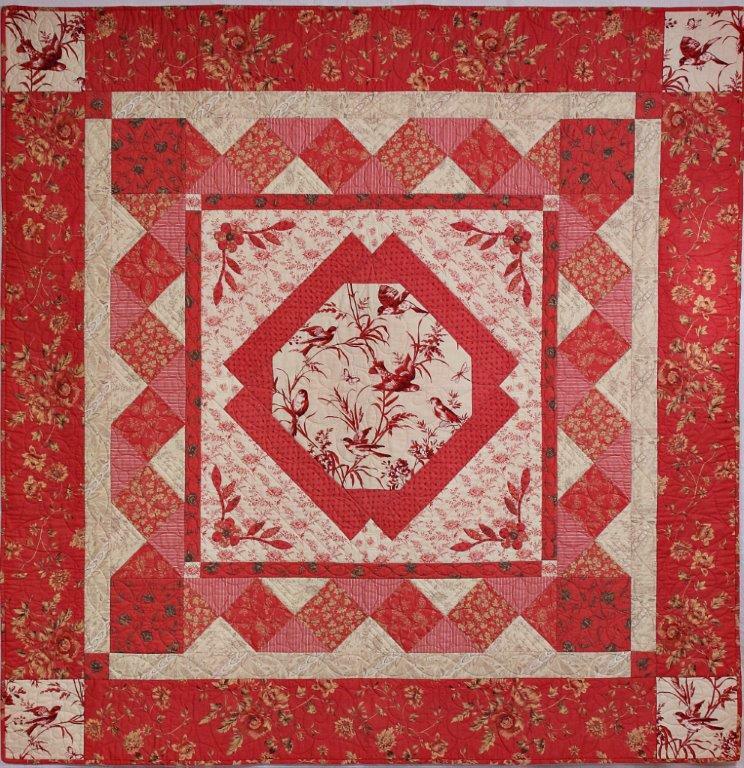 It features a toile fabric in the centre and outer corners and uses complimentary fabrics for the simple pieced borders. 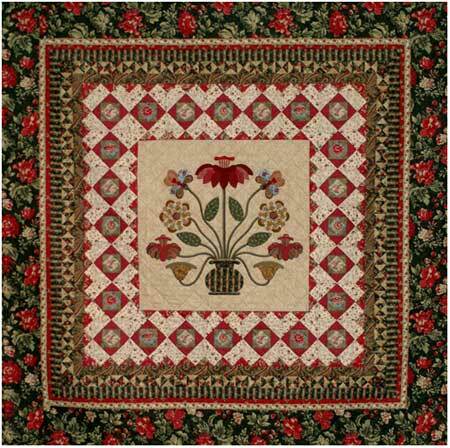 Careful placement of varied tonal values in the border fabric gives the impression of a woven effect. Optional applique in the centre if desired. This is a very versatile pattern and has been successfully made in a huge variety of fabrics and styles. This product was added to our catalog on Friday, 05. November 2010.